Please note: Don’t forget to come back here on Monday for details on our next Bible study. The topic is “grace,” which of course is always amazing! In conclusion, I can’t help but think that Philippians chapter four summed up the entire study for me. Paul’s words are empowering. His faith was dynamic. He teaches us to tune out this world and tune into God. He reminds us that joy is not only possible–it’s attainable in a Christ-centered life. All kinds of things can rob us of our joy. Sometimes it’s our health, sometimes it’s our attitude, other times it’s a lack of sleep, or a feeling that we’re not appreciated and loved. Regardless of what situation we’re in, we have the ability to stop right where we are, give thanks to God, and find a reason to smile. Sometimes an attitude adjustment can make all of the difference in the world, but other times it’s not quite so easy. A chemical imbalance for example, isn’t something you can just brush off. You might need to see your doctor for help. In fact, Jesus Himself wept when he heard that His friend Lazarus had died (John 11:35). And so we see that sorrow is a natural part of life. The key to joy however, is found in our ability to recognize that God is bigger than any problem we have. His plans for our life surpass our understanding, and as much as we might try to map out our future, He dictates each and every one of our steps. If we took more control of our thought pattern, then anger, jealousy, and resentment wouldn’t get as far as it does. It’s when we entertain those thoughts and mull them over that they become a deeper part of our thought process. Paul offers us an analogy of a race here. 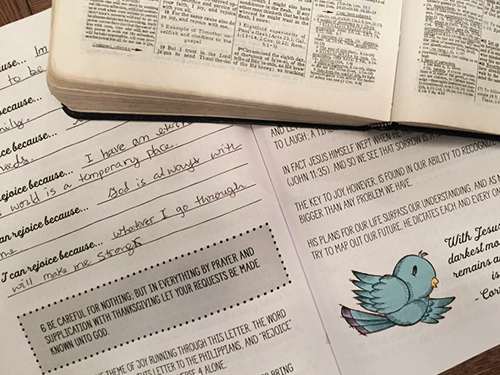 He compares it to the Christian walk, encouraging readers to vigorously pursue their faith. In doing so we need to focus on the finish line and leave the past behind us. He instructs the church to continue to walk in the faith. It is one thing to be forgiven and made perfect through Christ, it is yet another to continue the pursuit. Why is pursuit so important? Because God doesn’t just want you to make it to heaven “someday,” He desires to fellowship with you where you are right now. He brings fullness to the lives of those who pursue Him. Paul says, follow my example and be mindful of the example of each other so that you may grow together in faith. Heaven is our home, and this world is just a place that we are passing through. When we realize that truth, we are focused on something eternal rather than the here and now. Once we pass from this world, the perfection of our body and soul will be complete. Our struggle with the flesh will be done. By these verses we see that there was a time when the Philippian church wasn’t able to support Paul as much in his ministry, but here he was thanking them because things had changed. In fact, he mentions that in the beginning of his ministry the Philippian church was the only ones giving to his ministry. Paul explains that it doesn’t matter whether they were able to give much or little, as he was content in either situation. This is the same focus that all ministers of the gospel should have. If you receive well for your work it’s a blessing, but we all must learn to be content with little as well, trusting that God supplies our needs. We must also remember that those in ministry need the support of their church to continue working. If they aren’t being supported as they should be, they may have to take part time jobs that take their mind off of the work at hand. The more we can support our church financially, we lessen the burden that it has to pay wages and the day to day costs of running a church. The sacrifices we make are a sweet sacrifice to the Lord, and mirror the sacrifices made through the Levitical Law found in the Old Testament. Click here to download today’s coloring page. 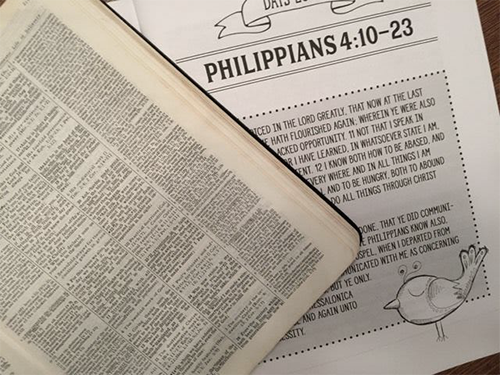 « Bible Study – Philippians – Week 4 – Part 1 & An Exciting Announcement! Thank you for this beautiful study and encouraging words! I have always had trouble with joy, but the last week has been especially difficult. I came across two verses that really helped. As pressure and stress bear down on me, I find joy in your commands. Your blog (Darlene) has been a big encouragement to me the last three years since I discovered it! Thank you for all you put into it! I have enjoyed this 4 week study. Thanks for the gift of your time and energy. I really appreciate the cross references. 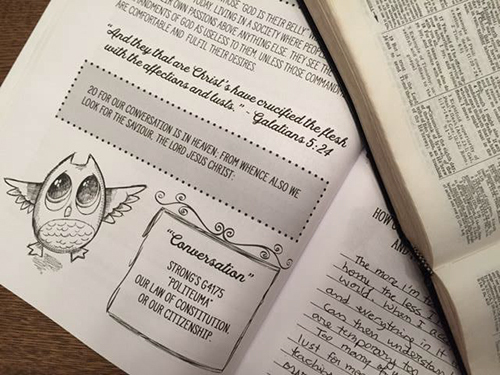 I have the six month study bible journal , Quieting Your Heart, and the coloring book, Joyful Expressions. At the age of 75 have just begun coloring to the delight of my adult and teen grandchildren. 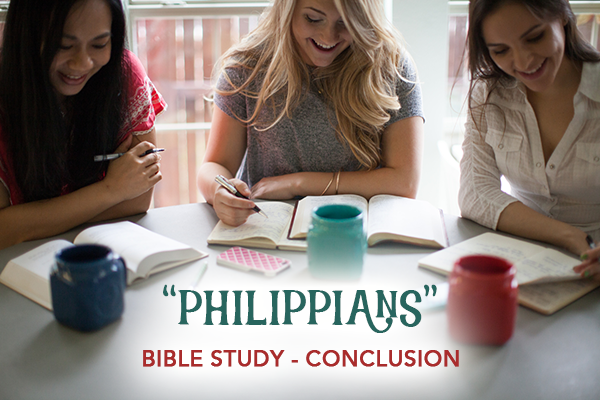 I just finished the Philippians study and was in awe of what a beautiful book it was! Your study was amazing helping me learn the book but so much of myself as well. God Bless you abundantly!! 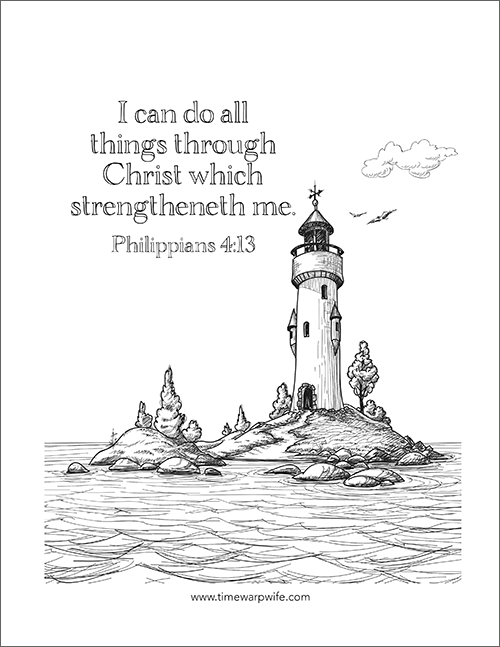 I know now when i may be down now the Joy i learned in the book of Philippians will get me through and be a reminder daily.